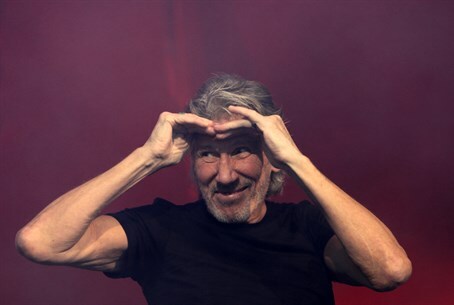 Israeli radio host responded politely to Roger Waters' Facebook post calling to boycott Israel. Waters deleted the post. Anti-Israel musician Roger Waters proved this week that he supports freedom of speech, but only as long as it is his opinion that is presented. Waters published a post on his Facebook page in which he attacked actress Scarlett Johansson and Canadian musician Neil Young for their refusal to boycott Israel. He directed most of his post at Johansson, who refused to back down from an advertising campaign for SodaStream, an Israeli company with a factory in Ma’ale Adumim, a Jerusalem suburb located over the 1949 armistice lines and which employs Palestinian Arabs. “Music is supposed to act as a bridge between people and cultures and not create a gap between them. Your attitude doesn't help to break the wall, it only makes it higher. Red’s response to Waters received almost 3,000 “likes” from other Facebook users and was widely quoted in both the Israeli and international media. It was at that point, however, that Waters deleted Red’s comment from his Facebook page. “This just proves that he understands that we can be a counterbalance to the boycott he is trying to impose on other artists...” Red wrote on his own Facebook page Thursday.